There are two ideas explored in inventive and exciting ways by the Spanish painter Jose Luis Ceña Ruiz. These ideas are the twin foundations of painting: the concepts of form and color. Regarding form, Ruiz investigates the essential question of how can we make meaningful paintings in the aftermath of the abstract art movements of the 20th century? And especially now in 2018, how can abstraction function in a world of ubiquitous super-realist high-resolution digital photography? Picasso reinvented the idea of the portrait. 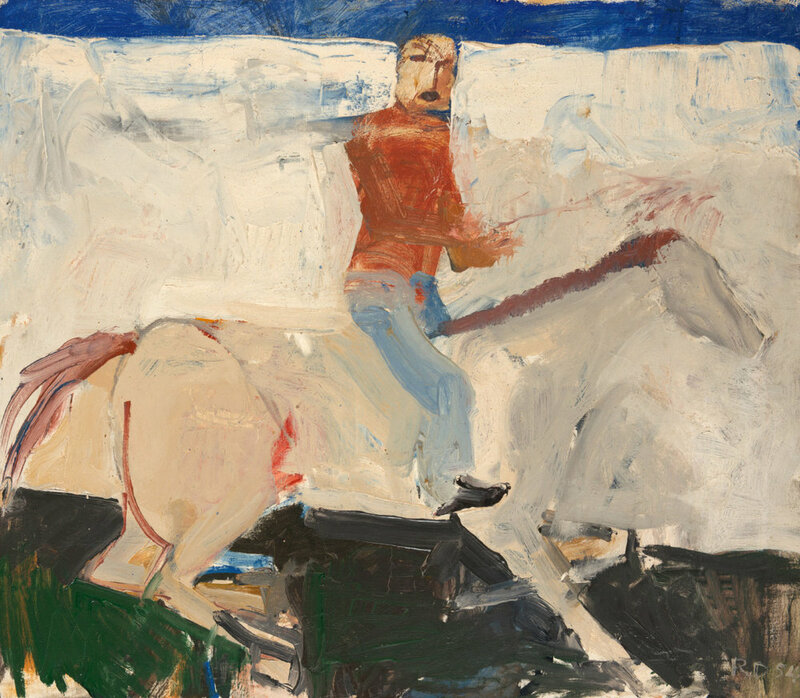 The 20th century gave us a variety of artists who invented new ways to abstract the figure and re-represent nature. 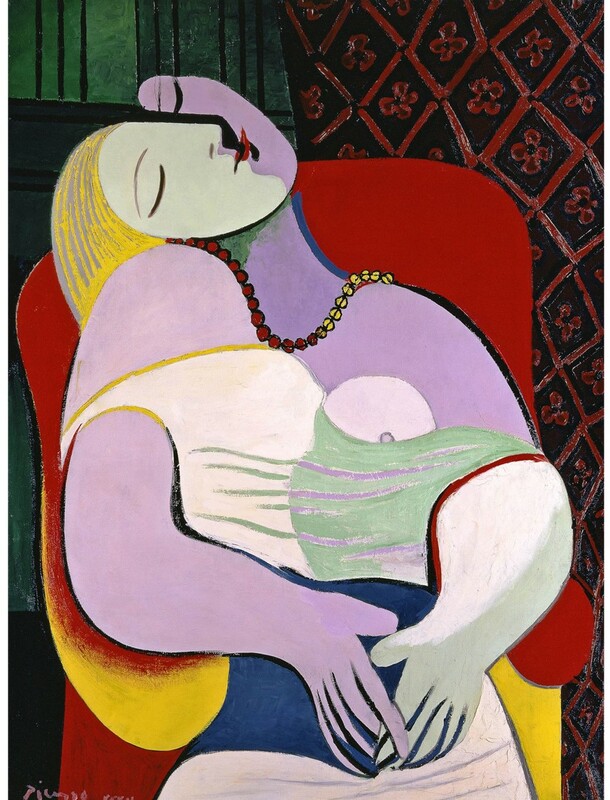 Artists like Pablo Picasso, Georgia O’Keefe, Willem de Kooning, and Richard Diebenkorn demonstrated the varied potentials of abstraction. A great example is de Kooning’s “Red Man with Moustache” (1971) which shows the outer limits of what can be recognized as the human figure. Diebenkorn explored massive simplification. Picasso reinvented the idea of the portrait. And Georgia O’Keefe showed that abstractions of nature could also demonstrate a graphic precision and sharpness of focus that was highly designed. This approach to art-making is sometimes called “Abstract Realism.” It is the collision between spontaneous, irrational abstract elements intermixed with a realist basis. But abstract realism is not an entirely useful term. Abstract Realism has been variously interpreted to label many styles, approaches and results. 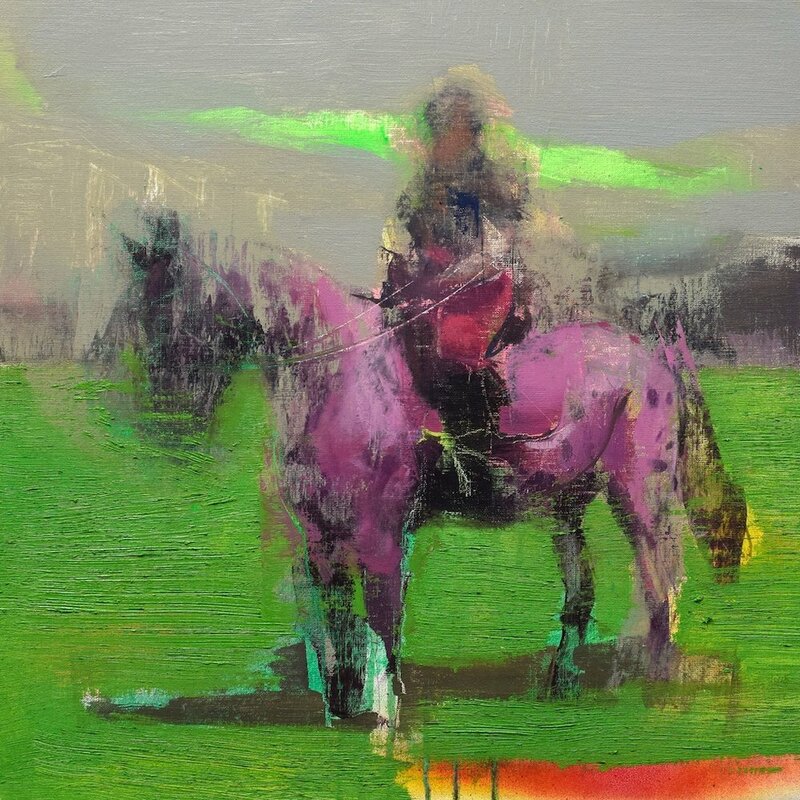 Broadly, we might identify Jose Luis Ceña Ruiz as an abstract realist, but to understand what he is doing it’s more useful to closely examine how he deals with form and color. Compositionally, Ruiz often presents scenes that owe something to the spontaneous feeling of photographs. Like that fleeting moment caught when someone opens a door, climbs a tree, or jumps down to earth. The subjects in his paintings are not posing for the viewer in a traditional sense, but caught in an instant that documents them. The people in Ruiz’s paintings usually ignore the viewer. They do not meet or acknowledge the audience’s gaze, and this increases a sense of voyeurism, of looking in, unmet. We are the unacknowledged watchers, viewing in secret. This touches on the time we live in, of omnipresent surveillance ignored. We are constantly observed, videotaped, scanned, and photographed, even in everyday, ordinary moments. Ruiz’s scenes are populated by the most familiar objects (people, trees, animals, houses, cars) but they are assembled in fresh, surreal, illogical juxtapositions that feel jumbled and overloaded. This is one of the most interesting tensions in his art, the push-pull between abstracting objects to simplified iconic shapes and complexifying the scene with too much imagery to grasp easily. Overladen as they are, the effect is to destroy any clear narrative. If asked to explain the story of what is happening in any Ruiz painting, meaning becomes slippery, and has to be made by the viewer, if at all. This situates Ruiz’s work as explicitly postmodern, in the sense that the viewer must find and make meaning out of the work. The idea that a viewer is an essential participant for the future life of the artwork is common to all theorists, be they followers of aesthetic reception theory or the reader- response-criticism movement. In Ruiz’s art, this lack of overt narrative is also an invitation to the viewer, activating interest and curiosity. What Ruiz does exceptionally well is explore the friction between the realism manifest in painting a familiar object with spot-on accuracy (i.e. a green VW van) while sending other sections of the same image into ribbons of colorful abstraction and eye-blasting vibrant tones that create a sense of curious unreality. The intensified colors, distorted world, and fractal-universe detail of Ruiz’s work suggests the vivid experiences of a hallucinogenic drug trip, but there is always an underlying oppositional strategy of skilled painting, craft, control, and restraint operating as well. These paintings are not just vomiting volcanoes of color; they are also precise as lasers in expressing the details of a fold of nylon fabric elegantly. Color for Ruiz, is emotional, but it’s also a kind of test of what the outer limits of color might be. Often, a problem for painters comes in an attempt to use too many colors in an uncontrolled fashion, without a meaningful plan. Many of the best artists in history used a very limited palette of colors. Most would admit that with each additional color added to the palette complexity increases. The idea of integrating dozens of colors into a painting with any kind of unifying logic is a daunting one, especially if the artist is inventing the color- logic and not just copying the colors of nature. Done wrong, too much color devolves into a rainbowed mess. Ruiz, bravely, tests this boundary and to his credit he shows that extremes of color experimentation can work within a framework of disciplined design. In summary, Ruiz has successfully invented a unique personal style integrating aspects of skilled realism with a vivid, original and graphically sophisticated abstract color logic. From here we can only look forward to see how he applies his tactics to a larger body of content in the future. José Luis Ceña Ruiz was born in Malaga in 1982. José has won many art prizes. 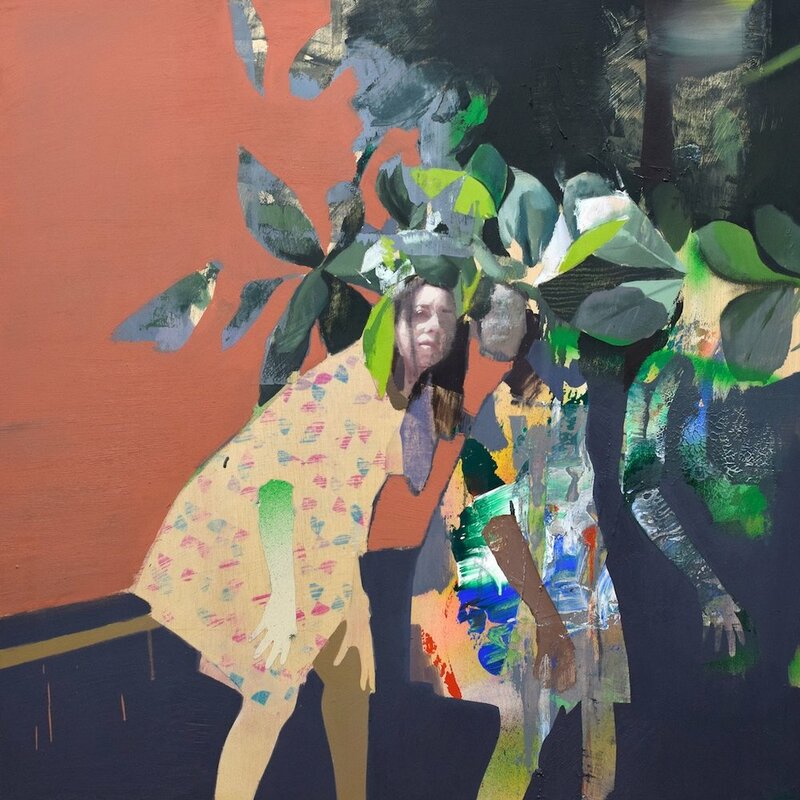 Recent ones include Honorable Mention II Award ModPortrait (2015), Bodegas Lozano Prize XIII Award ‘Virgen de las Viñas - Tomelloso (2014), Finalist XXL López Villaseñor (2012), Artistic Exchange with the National Wetland Museum of China (2012) and Finalist - V Figurative Painting Award, Arts & Artists Foundation - Barcelona (2010). His work can be viewed in numerous public collections including MEAM, European Contemporary Art Museum - Barcelona, Wetland Museum of China, Rafael Botí Foundation, Complutense Foundation - Madrid, The National Library - Madrid and the Royal Mint Museum - Madrid.